In eight new stories, a master of the form extends and magnifies her great themes—the vagaries of love, the passion that leads down unexpected paths, the chaos hovering just under the surface of things, and the strange, often comical desires of the human heart. Time stretches out in some of the stories: a man and a woman look back forty years to the summer they met—the summer, as it turns out, that the true nature of their lives was revealed. In others time is telescoped: a young girl finds in the course of an evening that the mother she adores, and whose fluttery sexuality she hopes to emulate, will not sustain her—she must count on herself. Some choices are made—in a will, in a decision to leave home—with irrevocable and surprising consequences. At other times disaster is courted or barely skirted: when a mother has a startling dream about her baby; when a woman, driving her grandchildren to visit the lakeside haunts of her youth, starts a game that could have dangerous consequences. 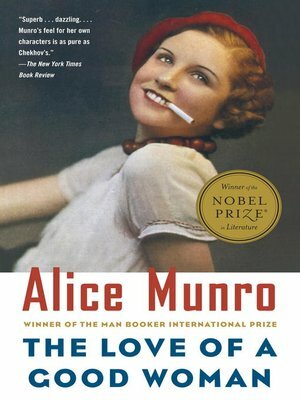 The rich layering that gives Alice Munro's work so strong a sense of life is particularly apparent in the title story, in which the death of a local optometrist brings an entire town into focus—from the preadolescent boys who find his body, to the man who probably killed him, to the woman who must decide what to do about what she might know. Large, moving, profound—these are stories that extend the limits of fiction.